All Lakewood Village homes currently listed for sale in Lakewood Village as of 04/21/2019 are shown below. You can change the search criteria at any time by pressing the 'Change Search' button below. If you have any questions or you would like more information about any Lakewood Village homes for sale or other Lakewood Village real estate, please contact us and one of our knowledgeable Lakewood Village REALTORS® would be pleased to assist you. 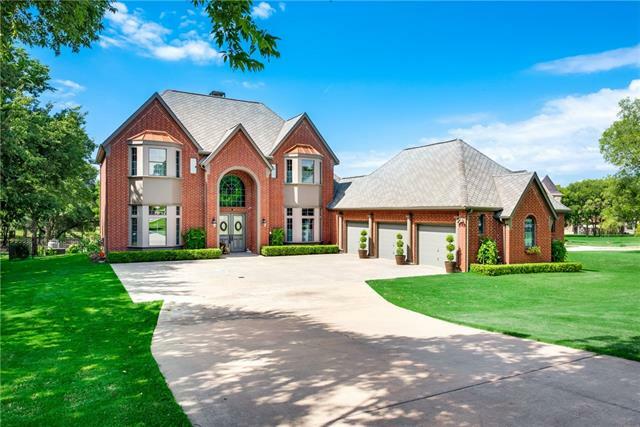 "Impeccable 1-story Lakefront property sprawling over 1-acre on a protected cove overlooking Lake Lewisville. Enjoy breathtaking views from the outdoor living area or swimming pool. 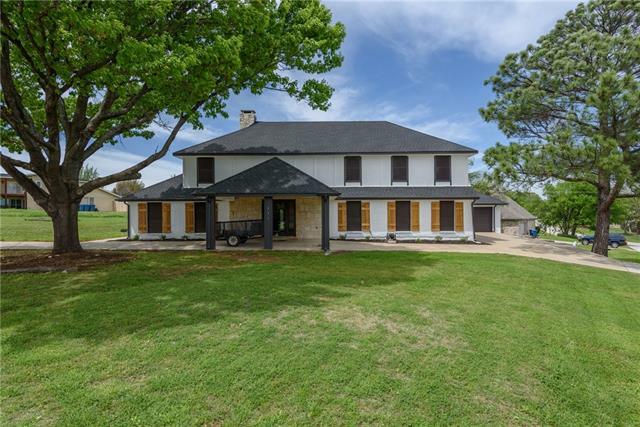 Formal dining with sitting room & wet bar, Game Room w-exposed beams & s-sound & a large Family Great Room make this a perfect home for entertaining. Island Kitchen boasts 42in custom cabs, s-steel apps, gas cooking & wine storage. Family Room w-stacked stone fireplace enjoys gorgeous lake views. Private Master Suit"
"Paradise on the lake! 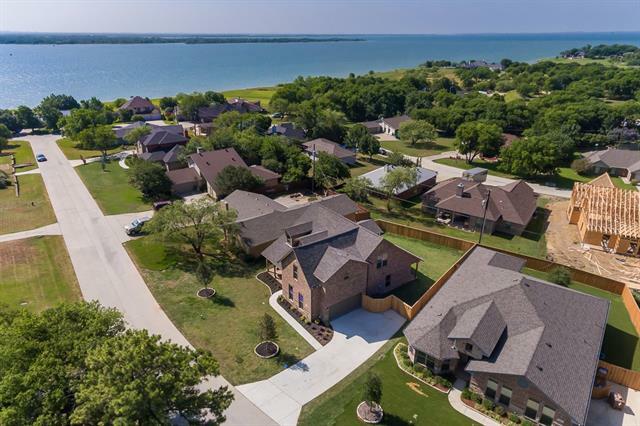 This incredible completely renovated home on Lake Lewisville features 5 bedrooms, 4.5 baths, and a completely renovated kitchen featuring professional grade Thermadore appliances. Accompanied by an elegant formal dining room, a 1st floor media room, and an updated library. This home also features 3 bedroom suites with completely renovated bathrooms and a master suite that opens out to a balcony. Every part of this magnificent waterfront residence has been renovated and t"
"Beautiful Custom home, has a lot of custom upgrades throughout. Slab Foundation has piers. Tall ceilings, decorative paint throughout the home. Game room has built in Bar area. Private office space. Master bedroom has fireplace. Bring your buyers, they will be delighted. Oasis style pool and backyard. Very well insulated, owner owns insulation company and knows this was applied correctly. Within walking distance to lake." 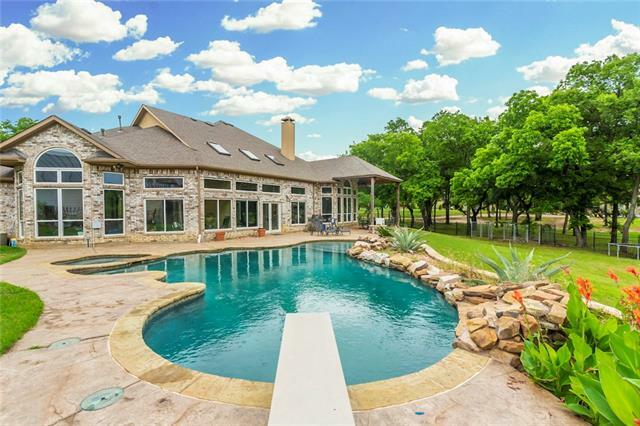 "Exceptional 1-story sprawling over 2 acres with breathtaking views of Lake Lewisville! Built for entertaining this open floorplan features Formal Dining w-butler s pantry & sink, Formal Living & Study w-built-ins. Gorgeously upgraded with wood floors, elegant lighting & detailed millwork. Island kitchen boasts granite counters, custom 42in white cabs, spice rack & s-steel apps. Family Room w-stone fp & s-sound. Sunroom provides add'l living space w-scenic backyard views. Huge Master Suite w-lu"
"NEW CONSTRUCTION-Ready for move in! 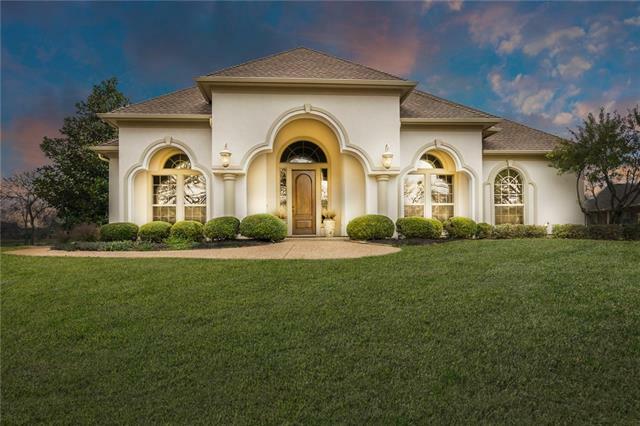 This 4 bed 3.5 bath custom home sits in a prime location and has beautiful views of Lake Lewisville! The main living features hand scraped hardwood floors, stacked travertine stone fireplace, and access to large covered front porch! Gourmet Kitchen with Granite, stainless appliances and modern fixtures! Beautiful wood work and trim throughout! Large Downstairs master with private covered porch. Master bath has granite, dual sinks, separate tub and shower! Larg"
"Exceptional Value! 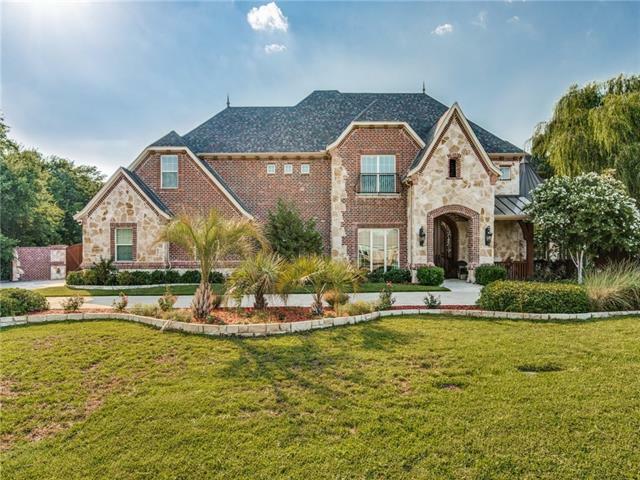 Newly Constructed Custom home in sought after lakeside town of Lakewood Village.Open layout with 2 Master Bedrooms!Engineered hardwoods on the main floor with tiled wet areas.Granite kitchen with abundant cabinet space opens to dining and living. Large island with power and storage, energy efficient ss appliances include dual convection oven and high capacity refrigerator. Some other highlights are dual swinging gates to securely store watercraft or trailer, epoxied garage flo"
"Corner lot. Beautiful lake views. Freshly painted Exterior and Interior. All Bedrooms located upstairs with two full baths.Two Living Rooms and full bath downstairs. Second Living could be used for game room or play room. Gourmet kitchen, granite counter tops, large island, two ovens! Plenty of storage. Relax by the fireplace in either living rooms. Enjoy back yard deck & covered patio. Oversized garage."